clothes, originally uploaded by jahansell. Trotta's isn't the only empty storefront in the plaza. Clothes and Collectibles closed a few months ago and I see no indication that someone is coming in. Sharon's shopping plaza is a very odd thing. From what I've been told, it wasn't always there - maybe 25 years old? I don't know what was there before, and I can understand the impulse to create a shopping center for town, but I don't think it's very successful. In other towns around here, there is a real downtown, with a main street of shops. Millerton, Kent, and even Salisbury all have downtowns where people come to walk around, get a coffee or lunch, and shop. Of course, a grocery store needs a big parking lot - Salisbury's is behind Main Street and visually hidden; Millerton's is on the edge of town in an area that looks more strip-mall suburban, leaving the village center looking and feeling more traditional and pedestrian-friendly. There is nothing friendly about Sharon's plaza - you take your life in your hands every time you try to get in or out of the crazy parking lot, especially near the post office on a Saturday morning. Our shopping center is not a draw for anyone outside of town. As nice as Clothes and Collectibles was, I don't know how they stayed in business as long as they did - who came to the Sharon plaza to shop? There are one or two other stores in Sharon selling what I'd consider "optional" purchases like clothes, but they are scattered around. Future posts in this series will be about our local restaurants, bright spots on the scene (Clean Bean!) and my curiosity about people who open retail shops - how exactly do they do it?! The shopping plaza was built sometime in the mid to late '50s, from what I've always heard. It certainly isn't the most well-constructed outfit (that parking lot really is a beast), but I'm guessing its separation from the Main St. town green area was intentional -- like what Millerton did with their CVS and grocery store (which actually used to be a Trotta's). I think Salisbury's done it best: ample parking with a charming downtown of local business, without what is often perceived as the overcrowding of Kent and Millerton. Personally, I'm hoping for a really good IGA to replace Trotta's, and for a facelift for the whole plaza...that white brick is very unfortunate. I lived in Sharon before the "shopping center" was built. Back then; there was an A&P on West main Street. There was a drug store on Main Street; right at the intersection of Cemetery Hill Road. That was about it. The "City Fathers" then decided that it would be best for the town if the inevitable commercial expansion occurred "up the road" in an effort to spare the green. Sharon certainly would not have the classic New England town green if commercial ventures had been permitted to located there. Salisbury did it about as good as can be; but it still does not have the "charm" of a green. I've traveled all over New England and no town has a green like Sharon does. However; pretty downtown parks don't bring in revenue. You give up something to get something. Perhaps now is the time to demolish the shopping center and re-build it in its present location. Move the parking to the back and have the storefronts facing the road look quaint as hell.. The time has come for a major up-grade (something that probably would be required before any "major player" would consider locating there. But; in today's economy; it's doubtful that it will happen any time soon. In the meantime' get back to basics and walk the green someday. No town has a green like Sharon's. As much as I like Sharon's green, it can't hold a candle to the town green in Guilford, Conn. It is both expansive and dignified. We have friends in Guilford and when they took us to the center of town, I was stunned by that green and won't soon forget it. Many interesting points. I walk the green very often - I live around the corner and we frequently walk to the library, historical society and just for exercise - and appreciate very much that the decision to build the plaza helped protect it. THere are many wonderful old photos of the green - the historical society has some (see links section) and many are posted in the Town Hall. It's changed a lot - in fact in earlier years there were many commercial estalishyments along main street - the hotel, for example. Just because we have come to like it as it is now doesn't mean that's the only way a town can be successful. I think the points raised about Salisbury are generally valid, but as someone who worked in a business on Academy St. during all of her college breaks and for a year after college, Salisbury's example isn't a perfect model. Parking is not ample, traffic is a mess, and it's a wonder that there aren't more fender benders. 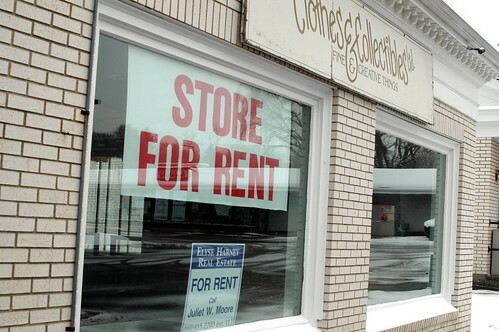 Moreover, the businesses with which the town has populated its main street (separate from those down the street in Lakeville) don't all serve the permanent population as well. They used to (remember the old village store?) but now have become more tuned to one of the two Northwest Corner seasons - Summer and not-Summer. I hope to see a new business in the old Clothes & Collectibles, and I'm sure we'll have a grocery store too. For someone who doesn't live in Sharon anymore but visits frequently, and there are quite a few of us, one of the most important functions of the shopping center in town is to be a center for our rather de-centered town. It must, of course, be financially viable and contribute to the local economy, and cater to visitors as well as the permanent population, but most of all, it must continue to be a place to see and be seen, Sharon-style. I don't recall the year but it was late 50's when Mr. Donovan (owned a small TV repair service on Gay Street) bought the land and developed the laundromat and a car wash (where the post office is now) and other buildings followed. I washed dishes and helped with late night cleanup as a summer job in the first restaurant and bought my first car from one of the original owners ... a Packard! Thanks for your continued great photos and memories! Just because we have come to like it as it is now doesn't mean that's the only way a town can be successful.